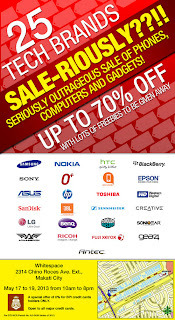 TP Friends, American electronics company O+ has just joined its first ever warehouse sale in the country with other major gadgets brands in various categories. I hope we can support them! 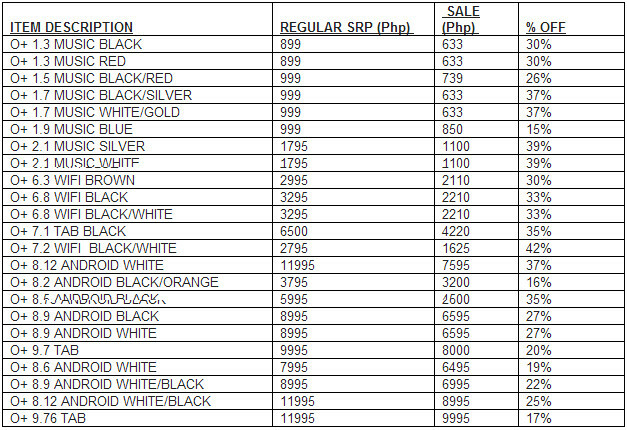 The Mega Sale, which will run from May 17 to 19, 2013, 10AM to 8PM daily, will be held at the Whitespace events venue located along Chino Roces avenue in Makati City. 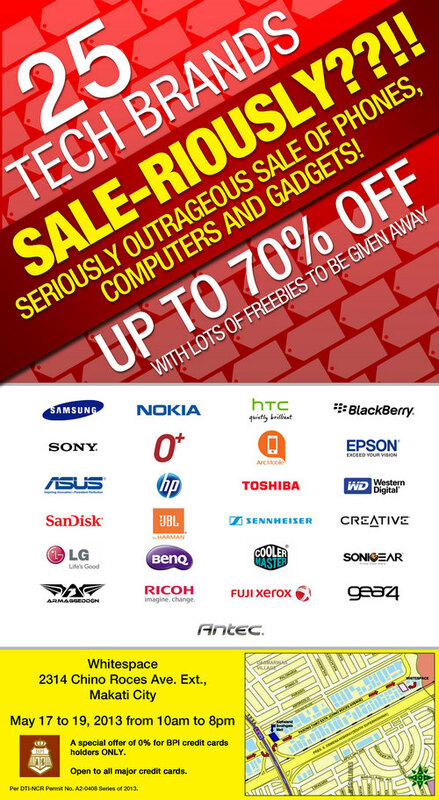 O+ will be offering an outrageous 15% to 42% price off on its smartphones and tablets. 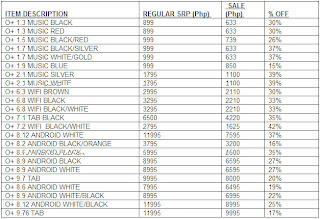 Kindly check the table below for the complete line-up of O+ devices that will be included in the sale. O+ 8.12 Android handset will up for grabs at only Php 7,595 from its original SRP of Php 11,995! Former flagship O+ 8.12 comes replete with 1 GHz Dual Core processor, 1 GB of RAM for efficient multitasking, a 4.5-inch qHD IPS LCD display protected by scratch-resistant glass touchscreen, an 8 MegaPixel autofocus camera with LED flash, an HD video recorder, and a rather hefty 1800 mAh Li-Ion battery pack.